PayPal are one of the world's most popular online payment processors because they enable users to quickly pay for products or services online without having to enter credit card details every time. 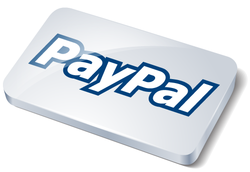 Unfortunately, not all mobile poker sites accept PayPal so we've put together this guide which lists the ones that do. Any experienced poker player will readily admit that banking is an important factor when it comes to picking an online poker room. This statement holds true even when it comes to mobile iOS poker sites – perhaps even more so considering how used to quick, on-the-spot solutions smartphones and tablets have made most of us. Obviously, standard bank wire transfers and checks tend to be extremely disappointing in this regard, especially since they require you to wait anywhere between a day and a week to finalize your transaction. As a result, players have been seeking alternate banking solutions – and it was PayPal that really gained their appreciation with plenty of poker sites allowing them to take advantage of the instant withdrawals and deposits this e-wallet site offers. Unfortunately, nowadays players from outside of Europe might find themselves hard pressed to find a poker site that will allow them to use PayPal, which is a result of the legal problems caused by the US UIGEA (Unlawful Internet Gambling Enforcement Act) of 2006 – simply put, PayPal officials want to play it safe and avoid any trouble that might result from allowing players to deposit to rooms outside of Europe. The goal of this review is to examine how specific poker sites handle PayPal payments to give you some idea about the advantages and limitations of choosing this banking method. Sadly, none of our featured USA friendly iPad poker sites accept PayPal for either deposits or withdrawals. Remember if PayPal is not available, you can always try one of these bitcoin poker sites. At mFortune Mobile Hold'em you can make a PayPal deposit and withdrawals from virtually every country they operate in. They accept deposits from £5 to £500, while withdrawals can be made of £10 or more. Deposits to your account happen instantaneously so you can begin playing at the real money tables straightaway. Withdrawals take on average about 3 days which is still considerably faster than the industry standard of one week. PartyPoker Mobile accept PayPal as a payment processor in a number of countries, including the United Kingdom and the Republic of Ireland. Unfortunately it is not available in many other countries, including Canada, Australia, Austria, Belgium, France, Germany, the Netherlands, Switzerland and Spain. You can fund your account in seconds using PayPal, although withdrawals typically take anywhere from 3 to 5 days to clear. PKR only accept PayPal from their players in the United Kingdom, Denmark and Ireland. Your money will appear instantly in your account but you will need to wait up to 4 days if you'd like to withdraw your winnings from your PKR account. The minimum deposit amount is £10. Country limitations also apply, which means that PayPal deposits are available in Germany, Spain, UK, Ireland, Italy, Portugal, Finland, Denmark, Austria and Sweden. The deposits are handled instantly, but unfortunately the withdrawals can take quite some time, as each transaction may take up to a week in the case of Standard and VIP Members or up to 4 days I the case of Gold VIP Members. As a result, you won’t be getting much of an edge on a standard bank transfer here. Unlike the other sites reviewed here, Bwin Poker does not maintain a list of countries that are restricted from using PayPal, which makes sense given the fact that the site already has some rather stringent registration regulations in place. As you’d expect the deposits are handled instantly, while withdrawals may take up to 4 days. The minimum withdrawal amount is £20, while the maximum is the specific amount you agreed to when setting up your account. Just like with other eWallet processors, bwin never charges a fee for any of the transactions you make. NOTE: Ladbrokes have temporarily withdrawn their poker apps. The minimum amount of money allowed both for deposits and withdrawals is £10 and the service is completely free of charge. Depositing funds is instant, while withdrawing funds from your account will take up to six hours. Nevertheless, there are some limitations as you can only use one PayPal account at a time to make transactions with the site and the service is available only to customers registered in Austria, Denmark, Finland, Greece, Ireland, Portugal, Spain, Sweden and the United Kingdom.